The last week of April arrived soggy and gray yesterday in North Carolina. It’s as if the weather gods had taken a sneak peek at the agenda for one of the busiest weeks of the year at the General Assembly and were shedding a steady stream of preemptory tears. 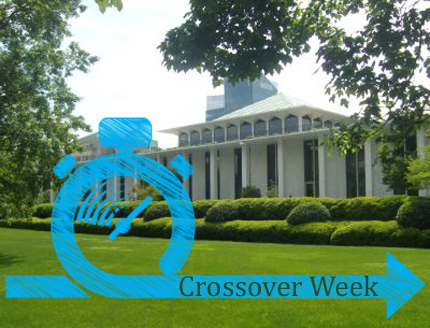 Yes, this is “crossover week” in Raleigh – one of those strange and obscure “inside the Legislative Building” phenomena that are, at once, difficult to fathom and highly impactful on the lives of millions of everyday North Carolinians. Every other year, state lawmakers self-impose something known as the “crossover deadline.” The basic and not utterly unreasonable rule is that unless a bill is approved by at least one legislative body (either the Senate or the House of Representatives) by the end of this legislative week, it will be ineligible to become law this year. The idea behind “crossover,” of course, is that it provides a culling mechanism that can help a part-time legislature manage the deluge of bills (there have been 1,448 introduced so far in 2017) it needs to wade through. Naturally, as with all legislative rules, there are numerous exceptions to crossover that render it irrelevant whenever the powers-that-be decide they need something to pass. That said, crossover does have several real impacts on North Carolina lawmaking – not the least of which is the way it helps make the current week one of the craziest of the year. At last check, there were 37 committee meetings scheduled during the first three days of this week with hundreds of individual bills competing for attention. All throughout the week, significant proposed laws will be considered and voted upon with only a minute or two of public consideration and, in most cases, even less public input. Adding thousands of new felony prosecutions and convictions – In a state already overburdened by the ill-conceived war on drugs and the massively overcrowded and under-resourced corrections system it has produced, the last thing North Carolina needs to do is turn thousands of small-time offenders into felons. Unfortunately, that’s just what a proposal making its way through the House would do. Under the terms of House Bill 492, any assault on a state or local government employee while he or she is on duty will become a felony. The breadth of this change is stunning. Remember: an “assault” simply means an unwanted touching. Under the terms of this bill, a student who shoves a teacher will have committed a felony. The same will be true for a disorderly sports fan (or mental health patient) who initially tries to swat away the efforts of an intervening officer or any number of average folks who may find themselves involved in heated disputes with – who knows? – food safety inspectors, ferry boat drivers or swimming pool lifeguards. None of this is to excuse such behavior, but making every such instance a felony is clearly going way, way too far. Branding political demonstrators as “terrorists” – At the same meeting at which House Judiciary II Committee members will take up the assault bill described above, they’ll also consider a proposal to – we are not making this up – create the crime of “economic terrorism.” According to the proposal, a person will be guilty of this felony offense if he or she “willfully and maliciously or with reckless disregard commits a criminal offense that impedes or disrupts the regular course of business” in which there are $1,000 or more in damages and the person’s purpose is to “influence, through intimidation, the conduct or activities of the government of the United States, a state, or any unit of local government.” None of the terms (“regular course of business,” “damages” or “intimidation”) are defined in the bill – a fact that would render any such law preposterously overbroad and, quite clearly, unconstitutional. Amending the constitution to reenact a destructive 70-year-old law – As we reported on The Progressive Pulse blog last week, the mad rush of crossover traffic is not stopping lawmakers from taking up precious time on absurd proposals demanded by the Koch Brothers and their minions. Take, for instance, two proposals (House Bills 819 and 820) to further set in stone (if that’s possible) North Carolina’s seven-decade old “right to work” law. The latter of the two bills, which purports to clarify the term “labor organization” in hopes of further preventing viable unions from getting established in the state, is scheduled for a vote in the House today. The former bill would actually enshrine this anti-union law in the state constitution. It was approved by the Judiciary I Committee last week and is also on today’s House calendar. Establishing a new Trump-inspired bureaucracy to punish cities friendly to immigrants – As was explained in this space two weeks ago, Senate Bill 145 would establish an entirely new state government bureaucracy under which any person can file an anonymous complaint with the state Attorney General alleging that a “city, county, or local law enforcement agency is not in compliance with a State law related to immigration” (whatever that means). The Attorney General would then be required to conduct an investigation and cut off state funds if he or she finds such “noncompliance.” This utterly illogical and unworkable proposal will take up time in the state Senate Finance Committee on Wednesday. It should be noted that lawmakers will, at least, consider a small handful of helpful ideas this week. Last night, a Senate committee finally took up and amended (albeit in a flawed way) the time-sensitive and long-delayed class size relief bill (House Bill 13). And today, House committees will take up “second chance” legislation highlighted in this space last week. Unfortunately, however, dozens of other truly progressive proposals that would begin to repair some of the damage inflicted on the state over the past six-plus years will never see the light of day. 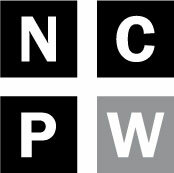 For instance, lawmakers could be discussing the “Economic Security Act of 2017” – a proposal in both the House and Senate to, among other things, increase the state minimum wage to $15 per hour over five years, require paid sick and family leave for workers, repeal the state’s ban on collective bargaining for public employees, attack the state’s wage theft problem and restore the state earned income tax credit. They could also be discussing and advancing proposals to usher in nonpartisan legislative redistricting (See here and here, for example.) Legislative leaders actually promised good government advocates a committee hearing prior to crossover, but that now seems likely to expire for the umpteenth straight year. And, of course, they could be discussing Medicaid expansion under the terms of the Affordable Care Act, accountability for school vouchers, genuine solutions to the state coal ash crisis, plans to respond to climate change and sea-level rise and ways to end artificial barriers to voting. For now, however, it looks like crossover 2017 will, as it has for several years, feature a flood of bad ideas. Keep your waders handy.